On 25 May, deputies of the Shpolyans’ka rayon council almost unanimously adopted the program “Support and Development of Local Communities and Local Initiatives of Local Communities of the Shpolyans’ka District in the year 2011-2012.” This district oriented program encourages the implementation of activities of the rayon through competitive mechanisms for the co-financing of community initiatives in the Shpolyans’ka rayon. Employees of the district’s community resource center developed the program and nominated deputies for the district council. Head of the District council, Sergei Hrebenichenko, explained that after studying the experiences of the realization of the project “Community Based Approach on Local Development,” Pereyaslav-Khmelnytsky, Sarnensky rayons and our Cherkasy collegues from Zvenyhorod encouraged us to take this decision. Furthermore their own participation in the project demonstrated the effectiveness of the CBA methodology for rural development. The Community Based Approach to Local Development Project (CBA) launched its activities in September 2007. The Project is funded by the European Commission within the framework of Tacis technical assistance Programme and is co-financed and implemented by the United Nations Development Programme (UNDP). EU financial support has enabled considerable expansion of UNDP’s experience on Area Based Development Approach currently being implemented through three other projects, namely Crimea Integration and Development Programme, Chornobyl Recovery and Development Programme and Municipal Governance and Sustainable Development Programme. 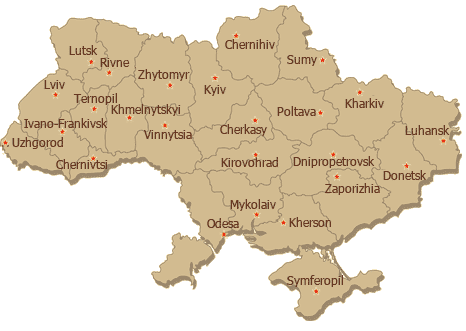 CBA Project aims to cover all oblasts of Ukraine and Autonomous Republic of Crimea. Regional launching on the Project is to be completed by the end of 2008, engaging all oblasts of Ukraine and Autonomous republic of Crimea.